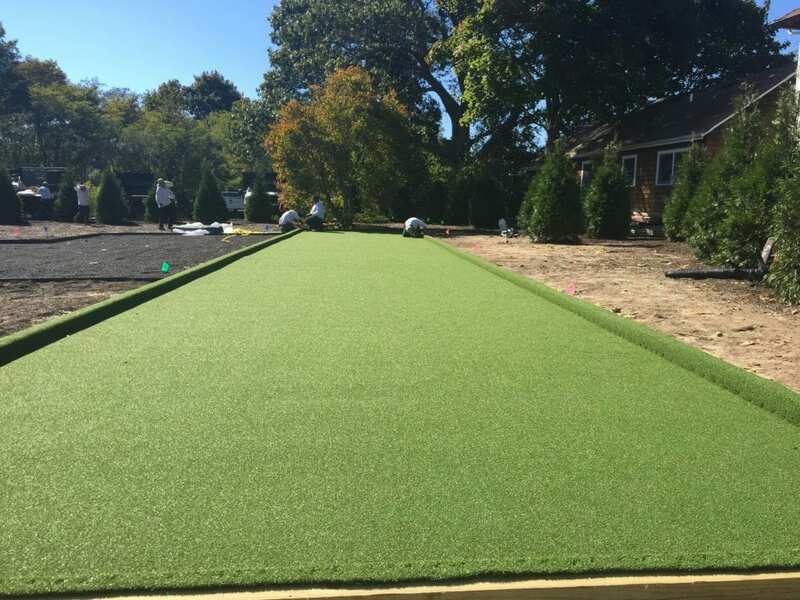 Imagine Having a Bocce Court or Golf Green In Your Backyard? 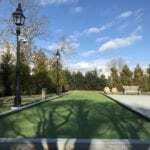 Adding a bocce court or golf green to your landscape and outdoor living space can provide an endless amount of entertainment for family and friends alike. And, Dragonfly Landscape Design can professionally install the perfect layout for either, designed just for your home! Most golfers dream about spending every day on the course. 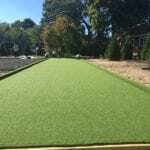 While this may not be practical for most of us (yet), with our installation of an at-home golf green you can practice your skills in the comfort of your own backyard. “Tee time” becomes “any time” for family and friends (or a budding golfer) to spend time enjoying the outdoors. 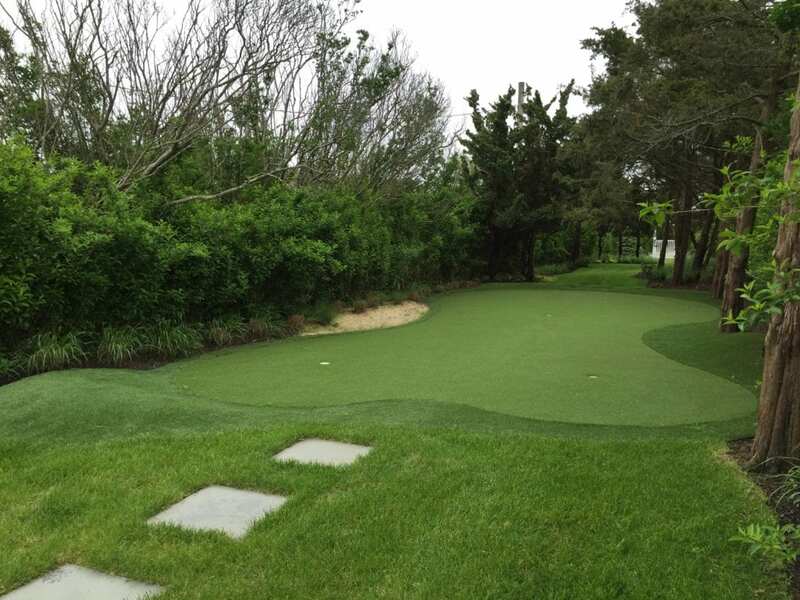 Whether it’s a way to relax after work or a more serious passion, we offer putting green installation perfect for your Hamptons home. 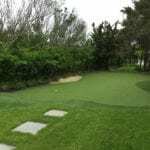 Since there are no strict rules for golf greens regarding the shape, size, or other design elements a putting green should have, the layout of a personal course can be designed specifically to meet your standards. When we’re finished and your putting green installation is complete, you’ll be amazed by how “at home” it looks in your backyard landscaping! Hosting an event at your home? 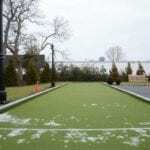 A bocce court is enjoyable for folks of virtually any age and virtually any athletic ability, making it a great social game to entertain all of your guests. While regulation bocce courts are 13’ by 91’, the dimensions of home courts can fortunately be whatever size fits into your backyard. We typically suggest 13’ x 60’ (if you have the room) with a low-maintenance synthetic turf surface and maybe even a pergola nearby for players and spectators to rest under and enjoy on a hot summer day. If you don’t have quite this much space, you may want to consider taking up petanque which has a standard court size of 13’ x 40’. 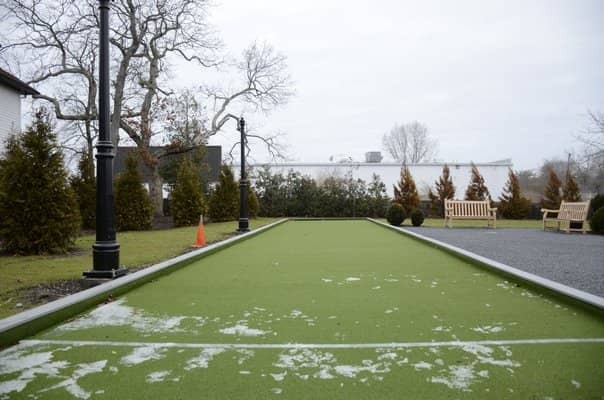 If you want to test drive one of our courts, please check out the bocce court in Glovers Park in Westhampton Beach (bocce balls are available in the adjacent Chamber of Commerce Building). Don’t forget about the Lighting! Don't forget about the landscape lighting! Too often, family members don't get home until after dark with work, school, and other time-consuming activities. 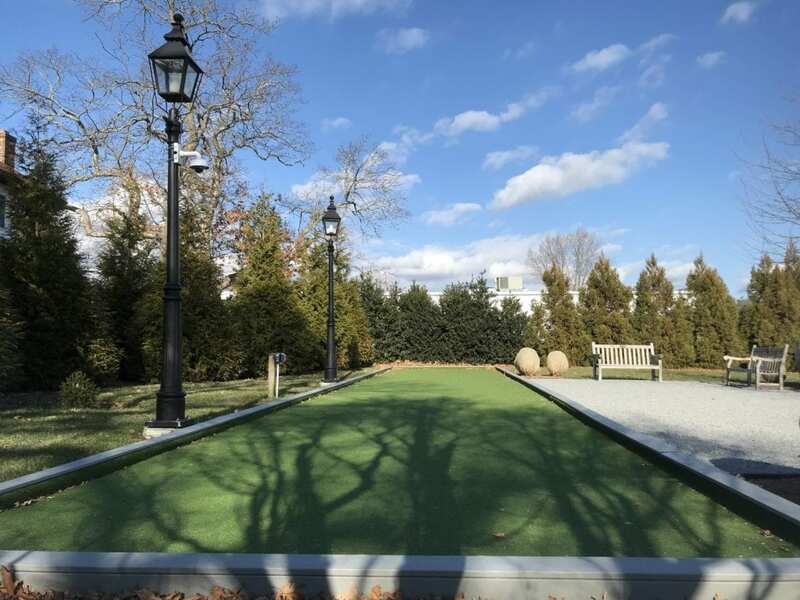 By incorporating landscape lighting into your putting green or bocce court design, we can extend the amount of time that you can spend playing outdoors. Very cool! Call us at (631) 288-8158, contact us or email us at info@dragonflyltd.com to get your game on!